Teaching Tools for USS ALABAMA: Hooray for the Mighty A! Now hear this! Now hear this! USS ALABAMA: Hooray for the Mighty A! is based on the true story of how the schoolchildren saved the battleship from being scrapped. In 1966, a statewide campaign, money was raised to purchase the battleship and transport her to Mobile Bay. She is now the #1 attraction in the state with thousands of visitors every year. The book was released on the 50th anniversary of USS ALABAMA's arrival in Mobile. 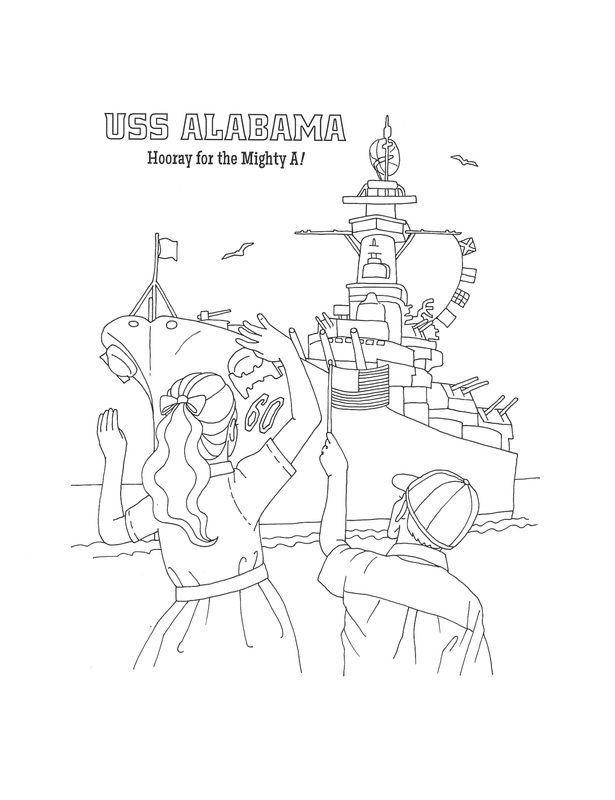 Teaching Guide for USS ALABAMA: Hooray for the Mighty A! Here I am with Julie Dupre Buckner doing preliminary research for the illustrations. It was a windy day and we were trying not to get blown overboard!